Elwyn Brooks "E.B." 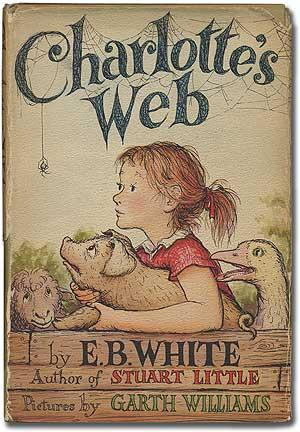 White (1899-1985) was an American author, renowned for his children's books: Stuart Little (1945), Charlotte's Web (1952), and Trumpet of the Swan (1970). 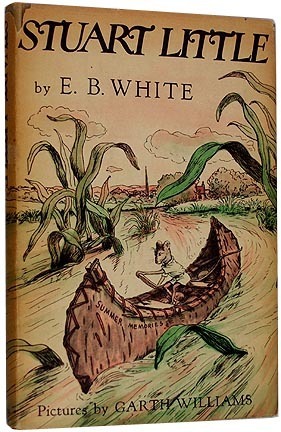 He's also the "White" in the consummate grammar and style guide, referred to simply as Strunk & White , titled, The Elements of Style (1918) with co-author, William Strunk, Jr.
Born in Vernon, New York with a father who was president of a piano firm, and mother whose father was a Scottish painter, White was heavily influenced to read and study the natural world by his older brother, Stan, who became a landscape architecture, and invented the vertical garden. 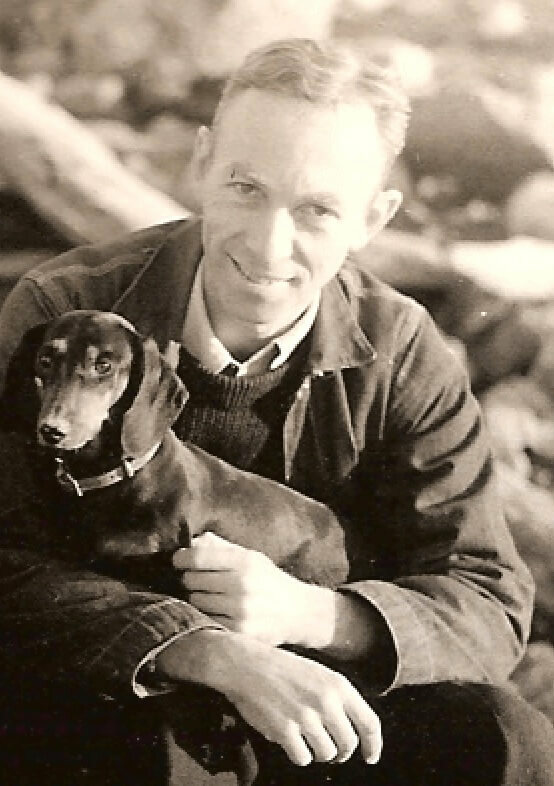 Elwyn served in the Army before graduating from Cornell University, where he edited the The Cornell Daily Sun . White was a reporter for the United Press and The Seattle Times between 1922-23. After a brief stint in advertising, he returned to New York and worked for The New Yorker (he was quite shy and resisted having to report to their offices). He loved animals, farms, farm equipment, and the weather, which clearly inspired his affinity for stories children would love. White died of Alzheimer's disease at his farm in North Brooklin, Maine in 1985.